The ultimate solution to remotely control, monitor and watch your garage door from anywhere with your Smartphone, Tablet or PC. 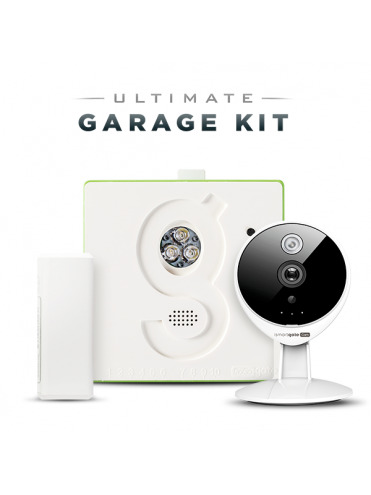 Includes the Gogogate2 device, wireless garage door sensor and wireless indoor IP camera. 1 YEAR FREE VIDEO PLUGIN INCLUDED! *1 Year free video plugin sent via email after product's purchase confirmation. Open and close your garage door remotely from an app. Internet connection required. Receive alerts when your door is open, closed or left open on your Smartphone or via-email. The garage kit also monitors your garage temperature and sensor's battery condition. Connect the included IP Camera to Gogogate2 using the 1 year free video plugin. Watch and record events in your garage remotely from your phone. 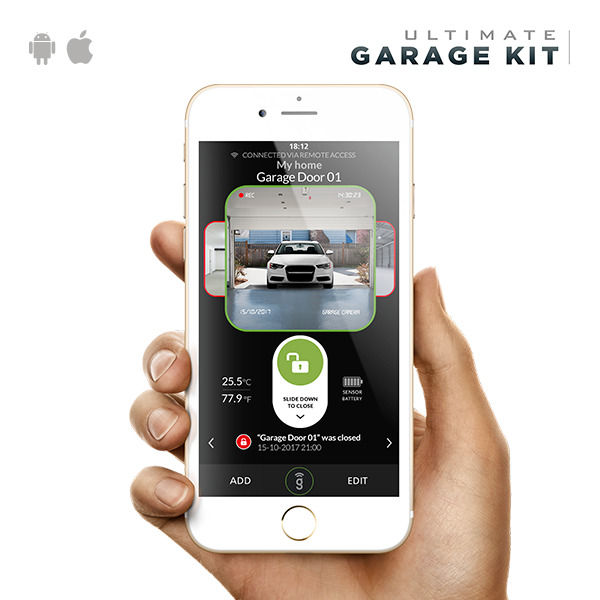 Gogogate2 will open and close your garage automatically thanks to IFTTT app and phone's GPS signal. 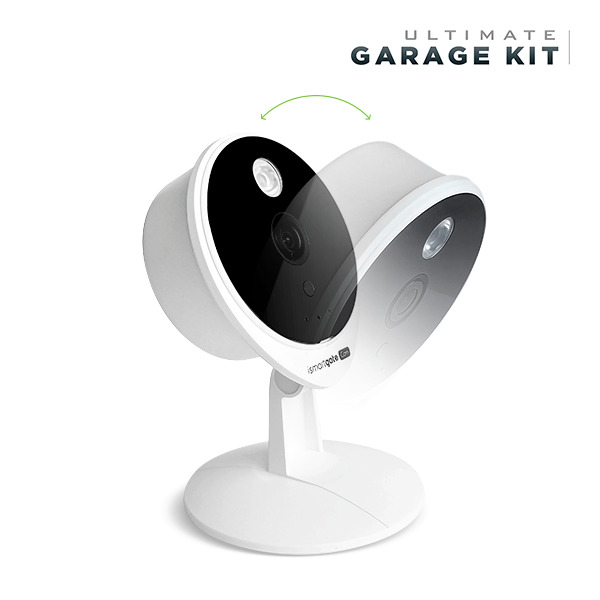 With IFTTT and Amazon Echo, Gogogate2 can open and close your garage with voice commands. 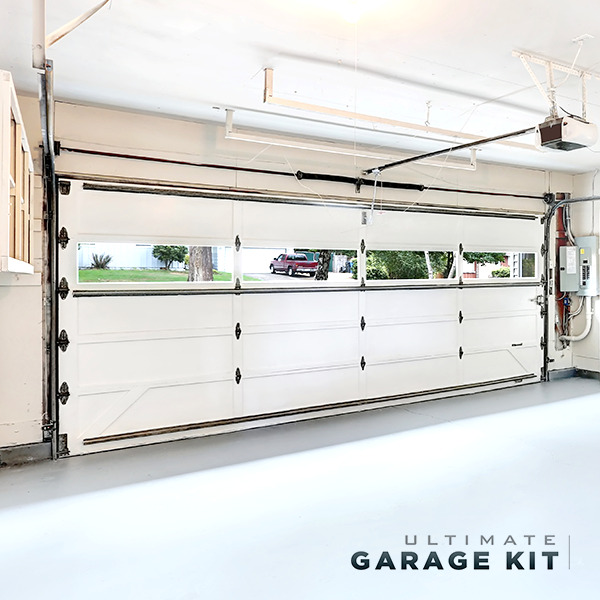 One Gogogate2 device can control up to 3 garage doors. The app can control unlimited devices and doors. Gogogate2 will alert all individuals in the confines of a garage 5 seconds before door is remotely open or closed. You can use and edit your Gogogate2 system from an app on your Smartphone (iOS/Android) or via web from your Tablet, Laptot or PC. App available for Apple Watch too. Gogogate2 only requires a screwdriver and 20 minutes of your time. 3D installation video. Watch video in High Definition (1MP) from the iSmartgate Cam. Feature available with Gogogate2. Watch your garage from your phone even in the dark. Night Vision for up to 8m. Feature available with Gogogate2. Diagonal angle of 116º for a panoramic view of your garage. Feature available with Gogogate2. 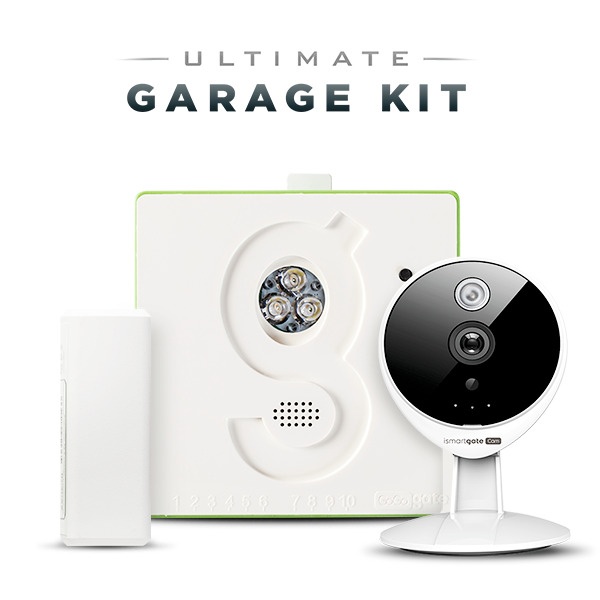 The ultimate solution to control, monitor and watch your garage door from anywhere. The ultimate solution to remotely control, monitor and watch your gate from anywhere with your Smartphone, Tablet or PC. 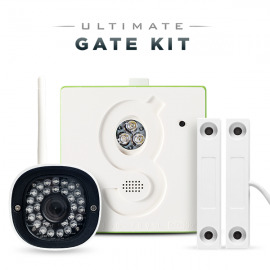 Includes the Gogogate2 device, wired waterproof sensor and wireless waterproof outdoor IP camera. 1 YEAR FREE VIDEO PLUGIN INCLUDED! *1 Year free video plugin sent via email after product's purchase confirmation. Wireless sensor for sectional and tilt garage doors. 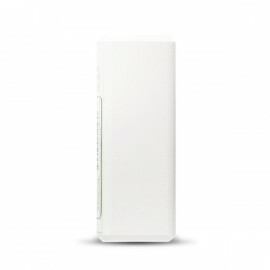 For monitoring your garage door status, garage temperature and sensor's battery condition remotely with the Gogogate2.